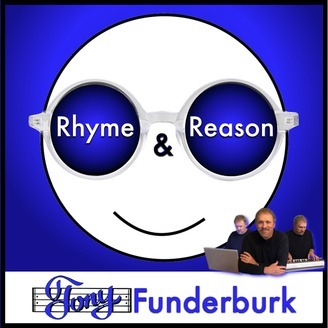 In each episode of the Rhyme and Reason Podcast, Tony Funderburk shares how life makes sense. As an author of more than 20 books for adults and kids, and a songwriter with hundreds of songs to his credit, Tony wants to show you why you’re important. 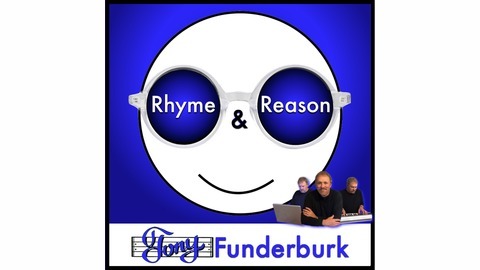 Get some free words and music by jumping on the Rhyme and Reason Bandwagon at TonyFunderburk.com It’s like a backstage pass to the secrets of eternal life. This episode of Rhyme and Reason is based on something I wrote back in 2017. And subscribers to the podcast will hear my Resurrection Day song called “The Way”. I’m including the lyrics below. In the recording I also acknowledged my buddy, Greg, and his reference to the zombie apocalypse that already happened. Tune in to get the Bible reference he shared to prove his claim. And I sent a shout out to my cousin, Becky, in Oklahoma. Her mom, my aunt, died earlier this month. Becky sent me the nice memorial flyer which looked like quite the Funderburk affair. All the casket bearers were Funderburks, and even the pastor was a Funderburk. I’m telling you…you better watch out when you’re around Funderburks, souls could get saved and go to Heaven. I hope you have a blessed, happy, and healthy Easter and thank you so much for tuning in to my Resurrection Day Rhymes and Reasons. For the heart of all mankind. There was no untarnished mind. Redeem them and I give My Blood to You. No matter how much the guilt might weigh. And we love with blinders on. How we tolerate is a form of hate. Where’s the Rock He stood upon? For the Truth is absolute and it’s foolish to dispute. Now don’t turn to the left don’t turn to the right. Just run straight to Him with all your might! When in Rome Paul did not do like the Romans, so will you?